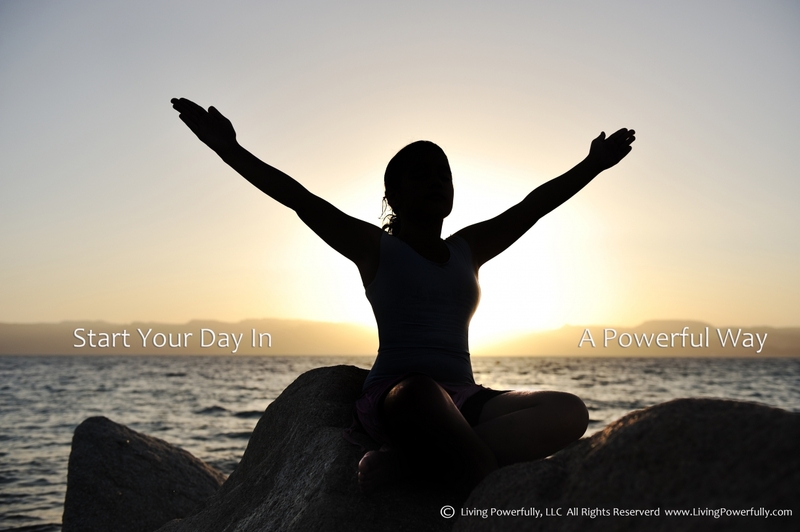 One of the single biggest things that I’ve done to take my life to the next level is focus on up-leveling my health and well being by incorporating a practice for starting each day off in a powerful way. I raised my awareness about what has the body work at peak performance. I shifted my mindset from health being about how I looked and focused it on being a vehicle for me to accomplish more in my business to make a bigger impact in the world. I realize that focusing on my health was the way to connect with my higher self. It was a way for me to strengthen my inner guidance system to know what what right for me individually, by stripping away all of the things that had dulled my senses. Our body is the vessel that we have been given to live this life. When it’s working everything is much easier and you can get so much more accomplished. The better our body functions, the more we can use our mind. It is critical that we take care of our health and well-being. We all have super busy schedules and it seems hard to squeeze anything else in. I get it as a business owner, a wife, a friend and leader in the community. And it is because I get it, that what I’m about to share with you is what will make the biggest impact the quickest and have you win at life. This is the structure that I use and that you can implement to start each day off powerfully setting you up for maximum performance, so that you have the energy and clarity to be most effective AND still have time at the end of the day to do the things you love. #1 Gratitude – Each morning as you wake up, take a few moments to take some deep cleansing breaths. This will start to wake you up, getting oxygen to the brain. Now spend a few minutes upon first waking up to offer gratitude for all the things you have to be grateful for in your life. You can say these in your head or if you prefer you can use a journal to write them down. Start listing them off, feel them in your body, shift your being to that of gratitude. Some of the things that I am grateful for are that I get to spend another day on this planet. I am grateful for my health and that I have the ability to smell, touch, taste, hear and feel. I am grateful for my husband, my family and my friends, my sweet little pugs that make me laugh. I am grateful for my cozy bed and beautiful home. I am so grateful for my car and that I have resources to live my passion. I think you get the picture. List all of the things that you are grateful for until you swell with joy for being one of the luckiest people alive. #2 Hydration – Next, drink some water. Have this be the first thing that you put in your body. It sends a great message to your body, that you are taking care of it and that you are grateful for it. After a good nights sleep it is critical to rehydrate the body. Personally I consume between 20-32 ounces of fresh water first thing. This helps to boost the metabolism and get you ready to start your day. #3 Nutrition – This is the next critical step to the formula for high performance. You need to feed the body with a healthy dose of micronutrients and fiber that lay the foundation for your energy levels throughout the day. I’m talking leafy greens, fruits and vegetables, not the things that are part of your typical American breakfast. This part is so important that I created a program called Breakfast with Brandy to support others in feeding the body properly for maximum performance. Incorporating more micronutrients feeds the body and helps to repair damage to the cells. It helps to balance blood sugar levels to keep energy levels from dipping and spiking throughout the day. Having a smoothie or juice for breakfast helps to decrease inflammation in the body giving you more clarity and less low level chronic pain typically associated with just getting older. It also flushes toxins that cause illness and disease. Changing the way you eat breakfast has you feel more vital, vibrant and alive. Registration opens November 16 for the next Breakfast with Brandy Program through November 29. Join me on the Journey. #4 Visualization – As you are consuming your breakfast, use it as a time to visualize what your day will look like, what you want to accomplish. What are the top two things, big picture things that you will accomplish today. Who are the connections that you are going to make, what results will you create, how will you handle various situations. Visualize your dream outcome and visualize it as if it is happening right then. Notice how you feel, what are the things that are happening around you, how does it look. The more senses you can incorporate the more real it will become. #5 Mobilization – Get the body moving and the blood pumping. Going to the gym is great, but so often people don’t make the time and end up doing nothing. Just 10 minutes of lunges, step-ups, brisk walking or jumping jacks can get the blood pumping to the brain, get your metabolism going, and boost your energy for the day. Include some stretching to increase your flexibility, mobility and openness. It’s all about getting the body into flow and moving forward. You need to let your body know that you are energetic and ready to rock. This morning ritual or practice sets you up in a powerful way for the rest of your day. It’s a structure that supports you to nurture your inner guidance system and take inspired action in your life, doing the things that are important to you. When you incorporate this into your daily routine and are consistent, you will start to see shifts in your life both personally and professionally. 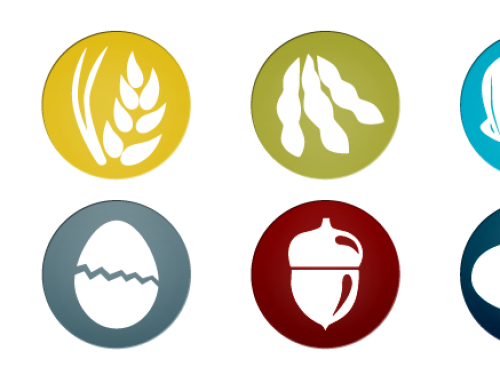 Food Allergy, Food Intolerance…Ugh… What do I eat?